Pittsburgh PA - View of the US Post Office and Federal Building from the roof of Penn Station - 1959. View of the near road construction around the Civic Arena and Bigelow Boulevard. 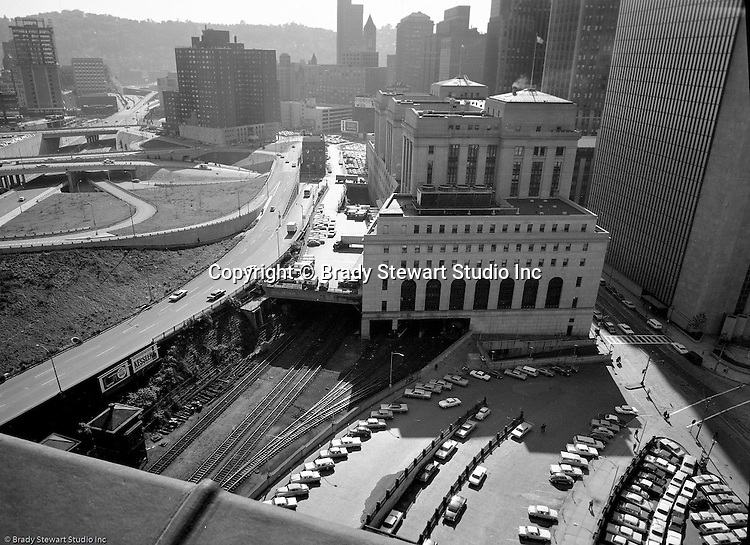 view of the road construction around the Civic Arena and Bigelow Boulevard.